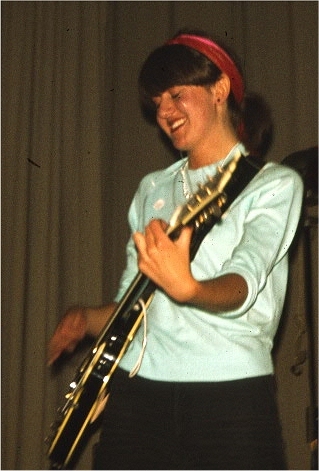 Dave Foster (lead guitar), Ade Clarke (bass and lead vocals), Simon Dodds (drums), joined a few months in by Tracey Thorn on rhythm guitar. Tim Soul - Vocals and Synthesiser, Tony Fewkes - Guitar, Alan Rolfe - Keyboards, John Walpole - Bass Machine, Gary Hawkins - Drums. 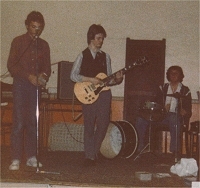 Gary was later replaced by Dave Taylor in early 1981 and Dave was replaced by Paul Madden in late 1981. The talented Mr Pig combined his wonderful lyrical genius with some super-catchy tunes to create an impressive catalogue of over 100 recordings, many of which were issued on vinyl and cassette during his spell on the Waldo's Records label. 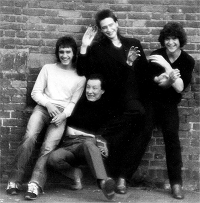 The group got together during the summer of 1977 at Watford Art School - and were Waldos Records' first signing. Their idiosyncratic word play and catchy tunes gave them an Art-Punk edge. Pure St Albans Punk - the Jabs were the real deal. 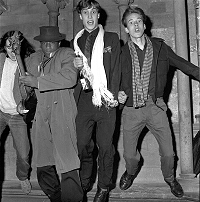 With only a handful of songs, the group were the perfect soundtrack for a Saturday night - treading the lager-soaked carpets of the Horn Of Plenty. 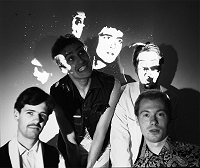 Based originally in the Harpenden area (Posh-Punk) The Bodies brought Electro-Punk to St Albans with surreal dark songs and densely structured music that mixed Bowie and metal. Their line-up comprised Mark 'Machines' Adams (voice and synth), Nick 'Tanz' Tansley (guitar), Tony Cobley (drums) and Leon Thompson (bass). 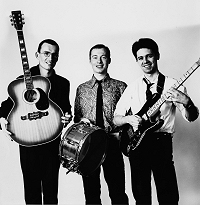 Pete Sutton on guitar, vocals and songwriting, Steve Wilcock on drums and Dan Brown on bass at the beginning - followed by Nick Biggins and then Manny. Vocals by Tanya Hyde. The group was the brainchild of Tea Set svengali Nic Egan, who wanted to create a new direction in sound for recording and live work. The nucleus of the group was Nic Egan (the voice), Gary Hawkins (jungle rhythm), Nick Haeffner (extraordinary guitar excursions) and Pete Ridley (fat bass). "We do our records all in black - and if they're scratched you can bring 'em back!" The St Albans' indie label was started by Phil and Angie Smee in 1977 and run from the spare room at their house in Liverpool Road.